A party song sung by Neeti Mohan, Mika Singh, Tarannum Mallik featuring Diana Penty and Mika Singh. The video of this song is available on YouTube at the official channel Eros Now. This video is of 2 minutes 52 seconds duration. 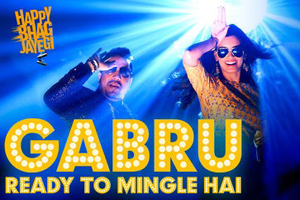 Lyrics of "Gabru Ready To Mingle Hai"
Lyrics in Hindi (Unicode) of "गबरू रेडी टू मिन्गल हैं"